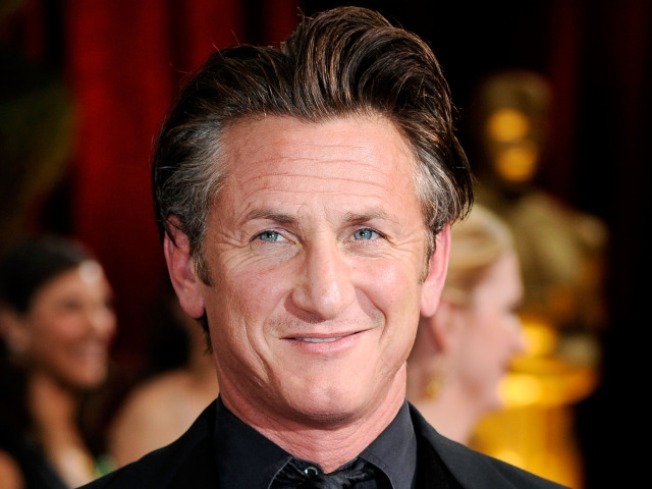 Sean Penn wins outstanding performance by a male actor in a leading role for "Milk." He lives in Marin County. Sean Penn is set to be a Stooge again, Bobby Farrelly told the Boston Herald. "We got him back," the director said of he and brother Peter's planned "The Three Stooges" reboot. "He always said he wanted to do it after, you know, taking care of his family." The star had previously dropped out of the project following marital issues with then-wife Robin Wright Penn. The two have since called it quits, with Robin filing for divorce. However, the delay prompted the brothers to start work on another film, "Hall Pass," which is reportedly set to star Owen Wilson as a husband who gets a one-week opportunity to cheat. According to The Hollywood Reporter, "Saturday Night Live" comic Jason Sudeikis will co-star. Though Penn may be back in the role of Larry, the casting of the other "Stooges" remains up in the air. Jim Carrey had been publicly gaining weight for the role of Curly, appearing with some extra pounds in LA in October. However, Farrelly told the Globe that the star would not be playing the role.